See our vision come to life. 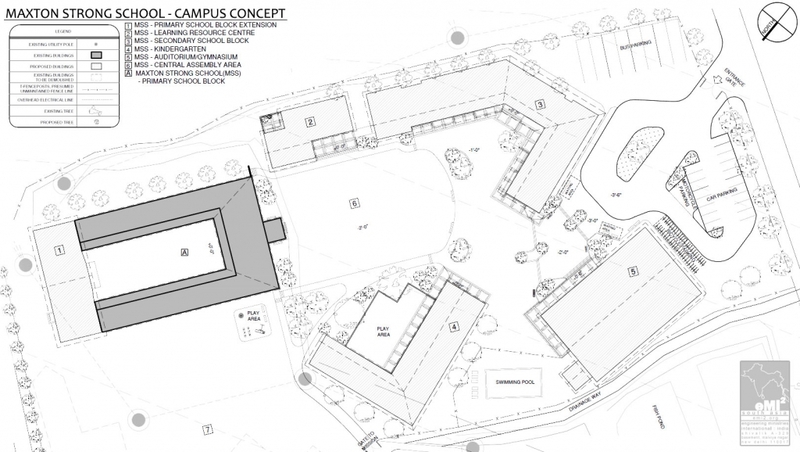 To account for the growing need we contacted the international engineering firm Engineering Ministries International and asked them to help us come up with a concept plan for our future campus. EMI sent a team of 14 design professionals out to conduct a site survey. Each team member brought with them a different set of unique skills and abilities that they were able to use to help bring a real tangible focus to our dream for our school; a dream that we would like to share with you now. Construction is already away on our Learning Resource Center. This building designed to assist in the overall educational experience of both our Primary, Secondary and Senior Secondary students. The new facility will contain both a library and computer lab; the lab is designed to incorporate a digital projector in addition to having room for our tech support officer. The large open plan building will be a perfect environment to just sit down and read a book; open rooms with lots of natural light as well as an open outside reading garden area will help to keep the spirit of learning alive. Individual sections will be allocated for younger and older children as well as having multimedia stations, newspaper & magazine store and study area. The biggest stage of our journey is the construction of our High School and Secondary/Senior Secondary facility. With faith and dedication, we will soon be launching into the planning and fundraising process for this project, and are excited at the possibilities that lie ahead of us. 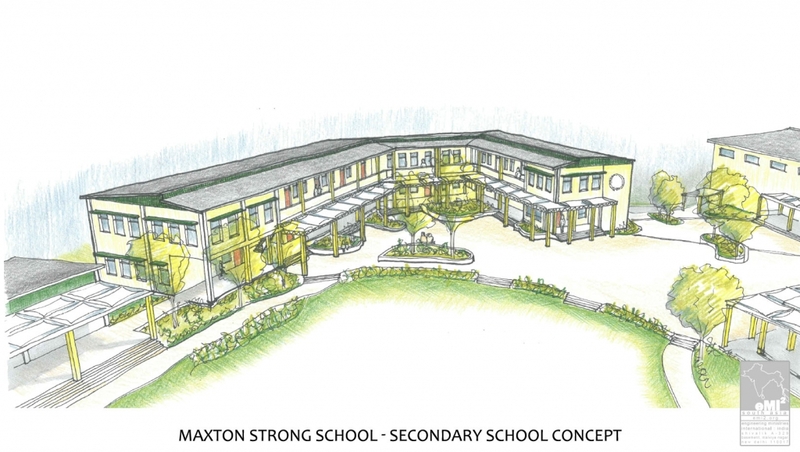 The new double story building will provide the classrooms required for Grade 7-12 as well as 3 science labs, an art room, mathematics lab, multipurpose rooms and the administration section of our school campus. Our upcoming new Kindergarten will have a large open feel with spacious undercover and open air play space. The ‘L’ shape lines up with the Secondary School administration wing leaving room for entry into either school. It will be a perfect environment for the newest members of our school family; these youngest students are also our largest growth area, with many local families eager to enroll their children into our well-respected system as early as possible. To better serve and continue attracting a robust roster of long-term students, we see this stage as a critical piece of our larger vision. 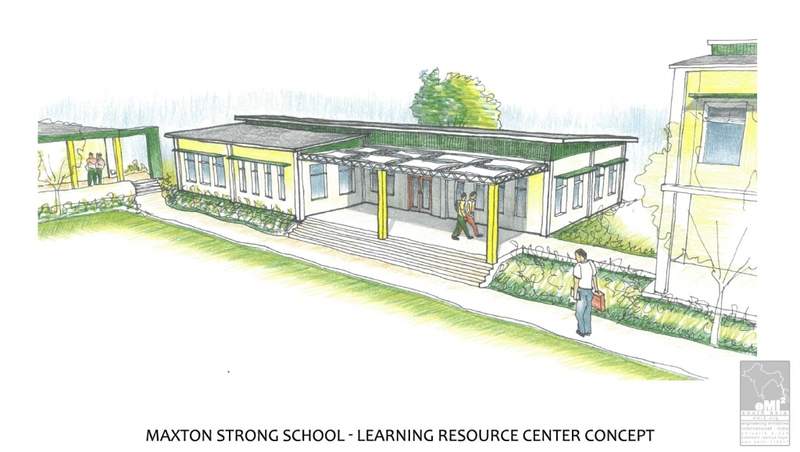 One of the final buildings of our campus will be the Gym; this building will be used both for physical education purposes and to provide after school training and coaching for basketball, badminton, Taekwondo and soccer. The building can also be used as an assembly hall during monsoon and winter seasons and will have a stage purpose built for programs and performing arts. A 1/4 size outdoor Olympic swimming pool is also planned; toilets and change-rooms will be incorporated into the design of the Gymnasium. Based on the position of the existing Primary School and LRC, the new Secondary School, Kindergarten and Gymnasium are designed to form a courtyard space in the center that will be used as an open assembly area. The design is such that each of the buildings would have a direct connection to the open assembly area yet be able to maintain a similar gathering space within themselves. When resources and opportunities allow, we have still bigger dreams, including the construction of Playgrounds, a Canteen and a Car Park. 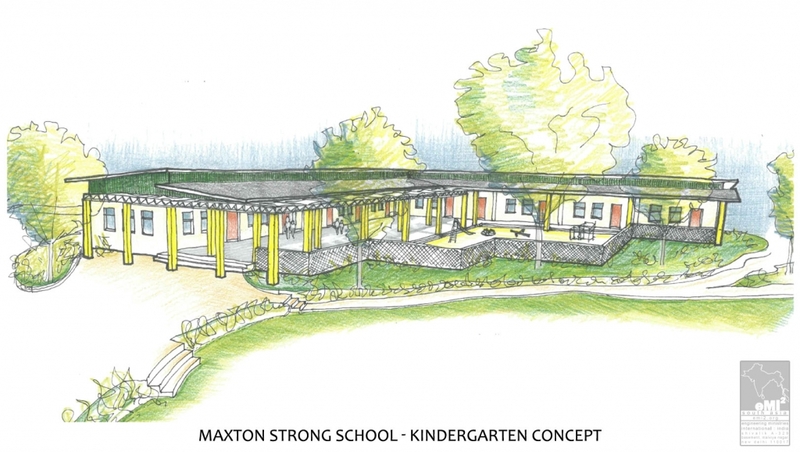 In its finished form, we see the Maxton Strong School as more than just a school. It will be a community resource and a place of opportunity, transforming the lives of countless children and their families for many years to come.